The dust has settled and the Pittsburgh Steelers again return to Pennsylvania with some lovely new Super Bowl rings on their fingers, as prophetically predicted by Madden NFL 09. A yearly tradition, EA has been using the Madden football franchise to predict the outcome of the Super Bowl since 2004, when it forecast the New England Patriots defeating my beloved Philadelphia Eagles. As the folks at MTV Multiplayer so conveniently point out, over the past four years the prediction has been accurate three times, and the one time it was wrong involved the Green Bay Packers hiring a sorcerer. Well chalk up another win to Madden, as the 09 version of the game not only predicted the winner this year, it predicted the score within 2 points. Last night's game ended with a score of Pittsburgh Steelers 27, Arizona Cardinals 23 - honestly much closer than I had anticipated. And Madden's prediction? 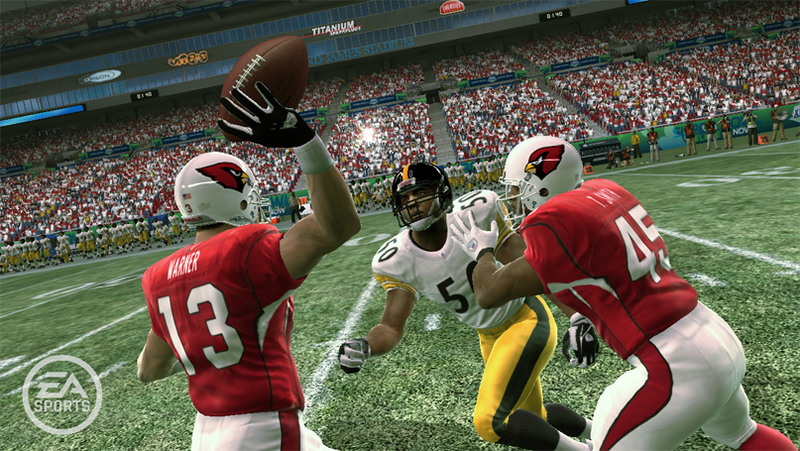 Steelers 28, Cards 24. That's verging on the spooky right there. So is the prediction the result of the accuracy of Madden NFL 09's player modeling, or simply a fluke? Did Madden take into account several bad referee calls for both sides? Did Madden NFL 09 stop and chuckle at the hilarious antics of simulated E-Trade babies, or was this entire post an excuse to point you towards that one commercial? Only Madden knows for sure, and he probably forgot.